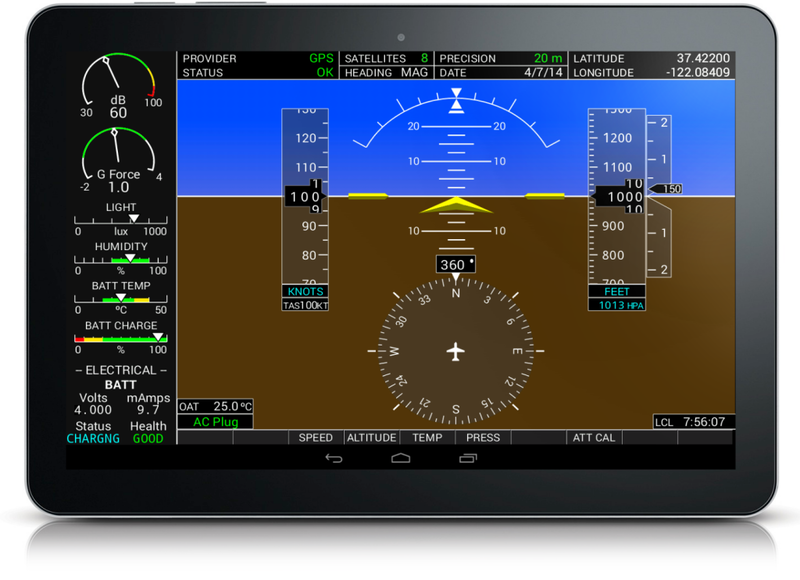 Aircraft flight instruments and device sensors adapted for tablets and smart phones. Integrated primary flight display with AHRS. Note: Gauges marked with an asterisk (*) are “device dependent” and may not all of them be available in all devices, in that case a red cross or lined values are shown. The artificial horizon uses gyroscopes when available and is unaffected by trajectorial accelerations. 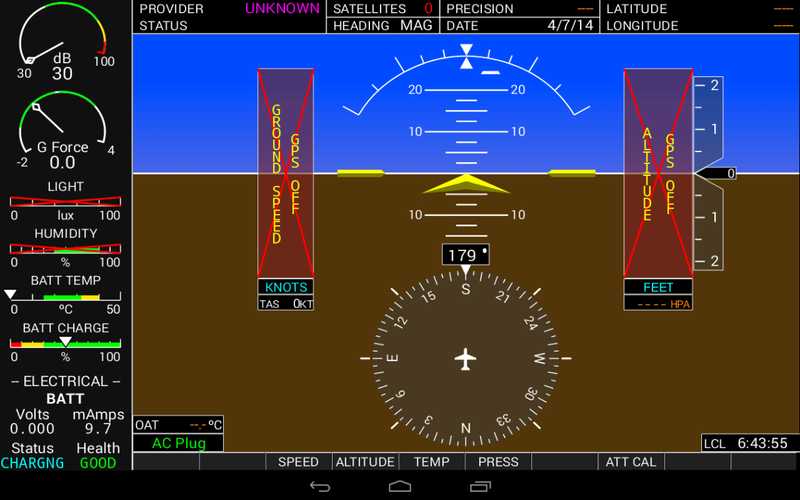 Units of speed (knots, km/h, miles, m/s), altitude (feet,meters), temperature (ºF, ºC) and pressure (hPa, InHg) are selectable by the user in the bottom menu. All gauges use a proportional integral filter to smooth movements. For best results the device should be placed vertically and aligned with the pitch axis. Attitude can be calibrated to correct small deviations of device support. The application adapts to any screen size and resolution. – GPS is required to get the speed, altitude and heading. 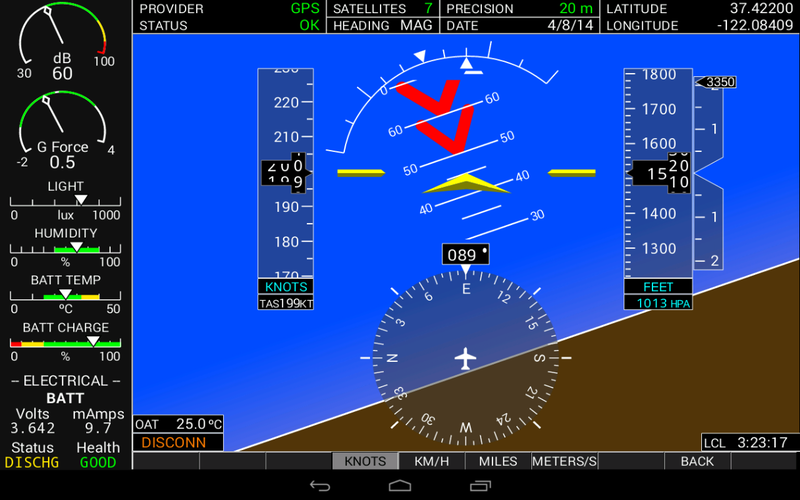 At low speeds (< 3m/s), the magnetic heading is shown even when GPS is selected. – Sound recording for the sound level gauge.